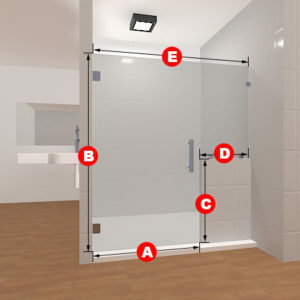 This frameless glass shower door set opens left to right, inwards or outwards, for your convenience! 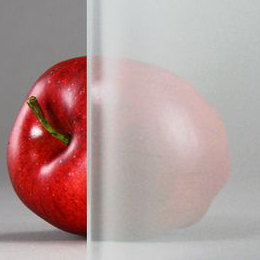 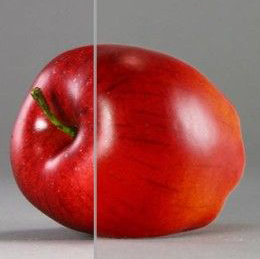 The glass can be either clear or frosted and made to your specific dimensions. 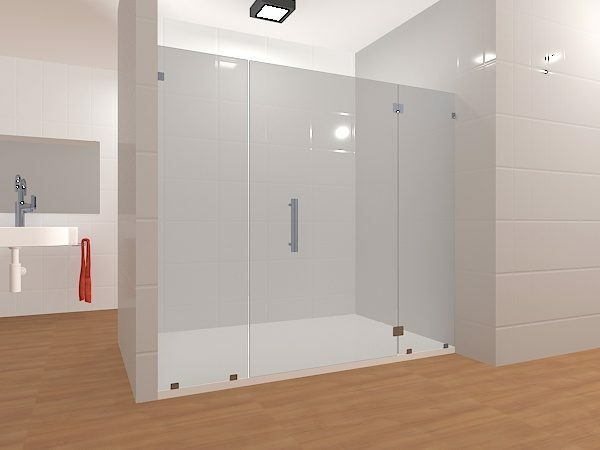 It&#039's the perfect triple-set-piece to complete your bathroom and make it look more functional and beautiful all at the same time. 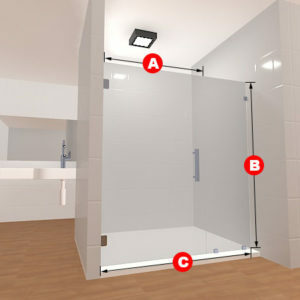 This frameless glass shower door set opens left to right, inwards or outwards, for your convenience! 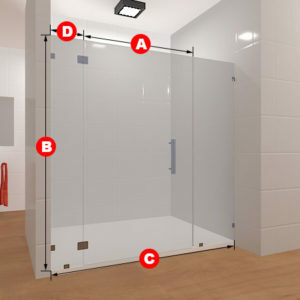 The glass can be either clear or frosted and made to your specific dimensions. 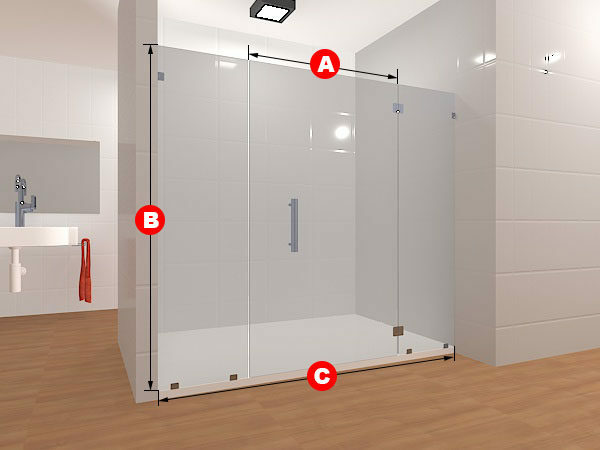 It’s the perfect triple-set-piece to complete your bathroom and make it look more functional and beautiful all at the same time.